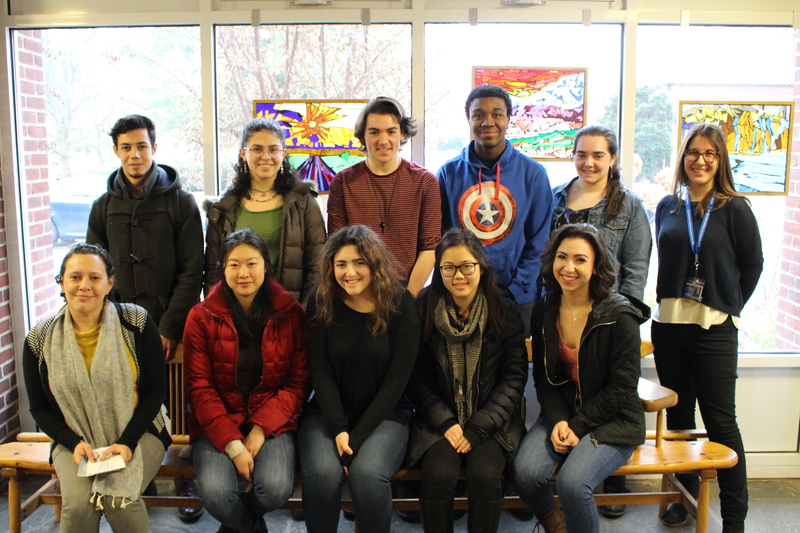 On Thursday February 1st, 2018, nine Waldorf School of Garden City High School students participated in the 32nd Annual Human Rights Conference at Adelphi University. Students from across Long Island gathered to discuss topics to encourage mutual understanding and respect and to explore ways to eliminate prejudice, intolerance, bigotry and discrimination. Back: Chris Kritas, Ella Siff-Scherr, Harry Wozniak, Jovawn McNeil, Zoe Baker, High School Counselor- Julie Ougheltree. Front: School Social Worker-Chelsea Rissner, Caitlyn Li, Mia Levine, Claire Hou, Sydney Bossuk.